Oh man, what a week! I can’t believe it’s Monday already. The last couple of days have passed in a whirlwind. I suppose it’s always the same when you’re in a different city and your days are jam-packed and you don’t get enough sleep at all! Speaking of not getting enough sleep, I am so horribly tired today! And then my coffee machine broke. I had to drive all the 45 min to work decaf! Now I am sitting in my office and sip the hot black life saver. I just don’t run properly without my morning fix! But now back to catching up! So as you might know, I have been in Berlin for the last 4 days. I was attending a conference on Friday and Saturday and as I have never been to Berlin before I thought it would be nice to have a little extra time to explore the city. It might sound strange but I wasn’t prepared to like Berlin much. I don’t know why. Maybe because they always say that you are partial to either Munich OR Berlin – never both! But I’ve always been a bit different so it just seems fitting that I find both likable. So on Thursday I got up in the middle of the night – say 4 am – got picked up by my mum who brought me to the airport half an hour later. My mum works close to the airport and being a cook she had to start at 6 am and so she perfectly could give me a lift. So I arrived a little over two hours prior to my flight – still acceptable as I had no luggage to check in. 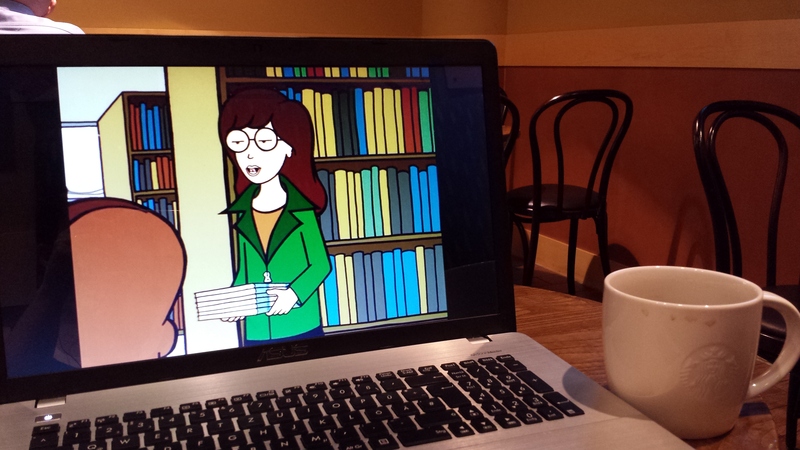 I had my computer with me and a few episodes of Daria left on the DVD so I seized the time and had a cup of coffee and a good laugh! The flight went smooth and I arrived at 9.30 am in the city center where I had coffee, went a little shopping and later met up with Miss P. We spend a nice afternoon together having a bite of Mexican food and exploring the city a little. I hit the hotel around 6.30 pm and really liked it. 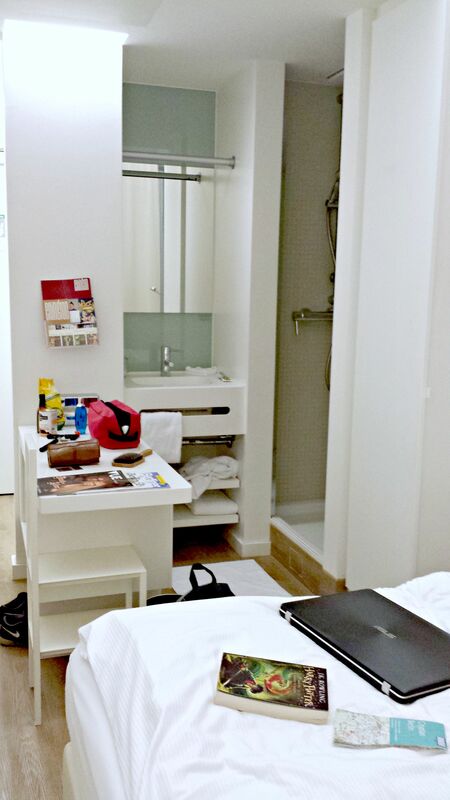 It was very clean and bright and the bed was delightfully cozy. The only thing that was slightly strange was the built-in bathroom! But okay, I was alone, I didn’t mind. But sharing the room with someone I don’t know too well could have been a little awkward! On Friday we got up, my friend and I grabbed a coffee and went to the university where we registered and then sneaked out to ditch the welcoming lecture. Not interesting for the both of us. 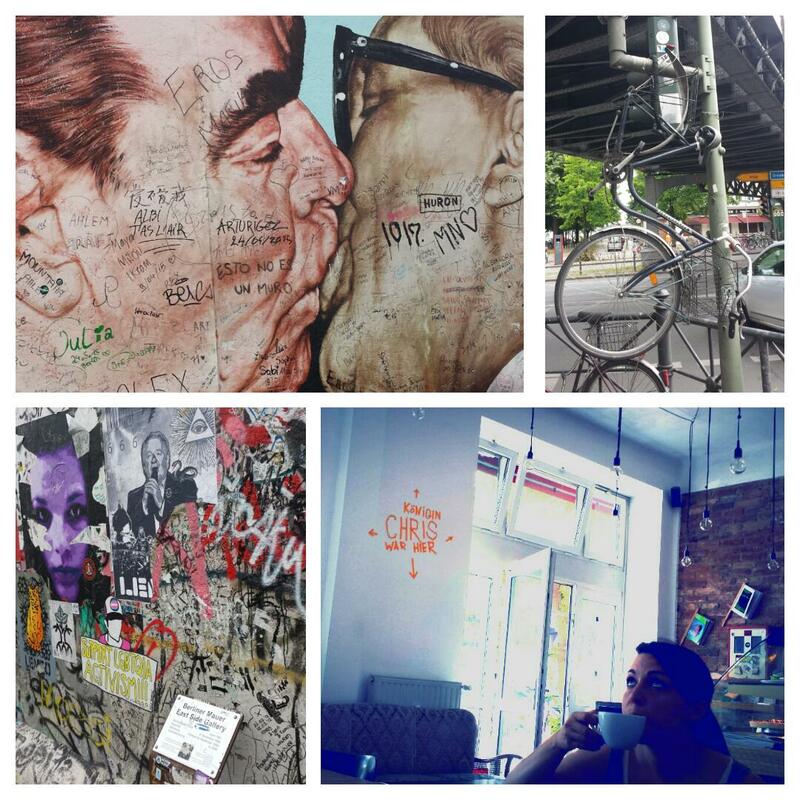 We met up with her hubby and went for breakfast and a walk down the eastside gallery. We attended the afternoon workshops we were registered for – with mixed feelings – and ditched the conference dinner in favor to meet up for burger and a stroll through Berlin Mitte. 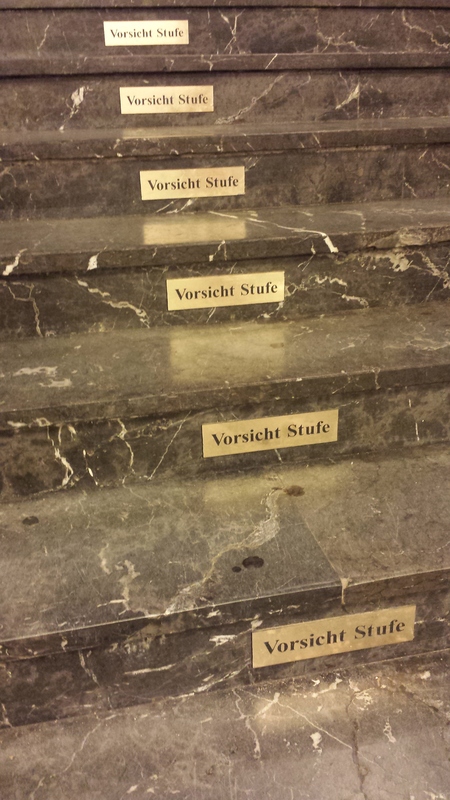 I had a good laugh at Humboldt University when we went up to the first floor. ‘Mind the step’ a little out of hand 🙂 I suppose a university student should be able to apply the warning to every step 😉 But you never know …. On Saturday we decided to be good girls and went to the morning talks which were a mix of tedious bla bla and showing off how clever and smart everyone is. It was very disappointing. The organisation wasn’t quite living up to any standards either with 2 queues for the lunch buffet for 500 people. Expect to queue for 50 min to 1 h! We went to the cafeteria instead to grab a Börek. Way better and very yummy though I wouldn’t have minded a slightly different filling-dough ratio! The afternoon workshops were a bit of a disaster. My friend left hers in the break as it was nothing but horrible. And though mine was really good I was completely lost basically right after the greeting words. It was a workshop running analyses with a statistics software and due to the fact that I work with version 2 and the instructor works with version 11 I more or less only knew maybe 10% of the analysis the program could run. I felt like a complete idiot! Luckily it was a workshop where you were supposed to actually run those analyses yourself and when they started to handout the step-by-step instructions I could participate again. High time to upgrade to version 11! 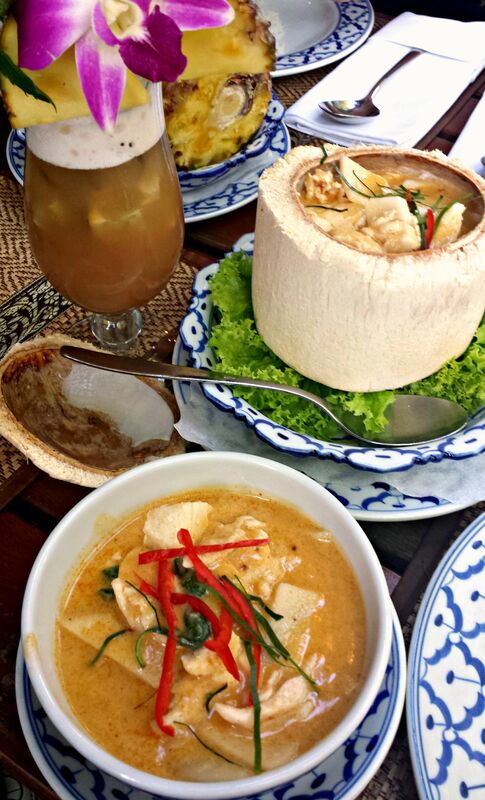 In the evening we went to Prenzlauer Berg and ended up at a Thai restaurant were I had a perfect Red Thai Curry served in a coconut. I wouldn’t have minded it to be a bit spicier but I was a happy camper 🙂 We walked a little through the neighborhood and ended up at Alexanderplatz where we took the bus back to the hotel. Despite being a bit tired we hit up a Turkish restaurant next to our hotel and shared some olives and wine. Perfect evening! On Sunday morning we got up, packed the stuff and went for breakfast at Spreegold Cafe, a paleo coffee shop/ restaurant/ whatever. It was so good! 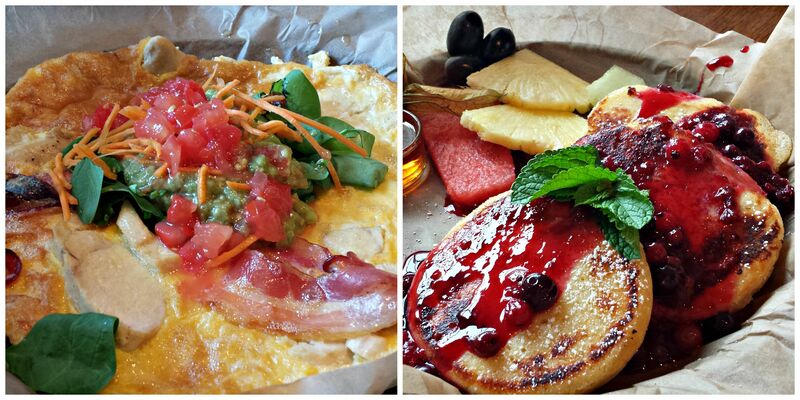 My friend and I shared pancakes and a chicken and bacon omelet with guac! I also tried bulletproof coffee for the first time. It’s coffee with a teaspoon of creamy butter and it literally tastes like you dink a cup of melted butter. 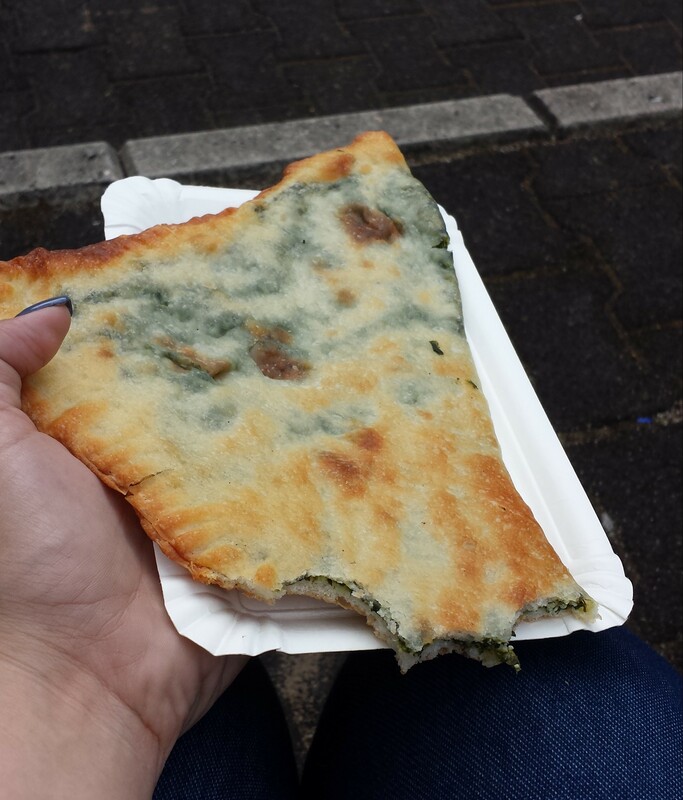 A bit strange and very filling but I am glad I tried it. So now the next week will be a bit stressful again but then I have three weeks where I can hopefully concentrate on my thesis. Today it’s supposed to be a rather hot day again and therefore I started the office day early and will escape soon after lunch! Now I need a second coffee! And maybe a third…. Have a great day and a good start to the week! YES x 10000000. This is why we’re unicorns in Harry Potter cloaks- Everyone RAVES about Japan and while I loved it, I wasn’t LOVE LOVE LOVE with it. I love how goodness (aka edibles) you jammed in. ‘This is why we’re unicorns in Harry Potter cloaks’ – love it! Like LOVE LOVE LOVE it! Wow that was a crazy weekend! I am soooo tired today too after my weekend in Amsterdam – but so worth it! Do you think you will go back to Berlin to explore a bit more (I.e without having to do work bits)? 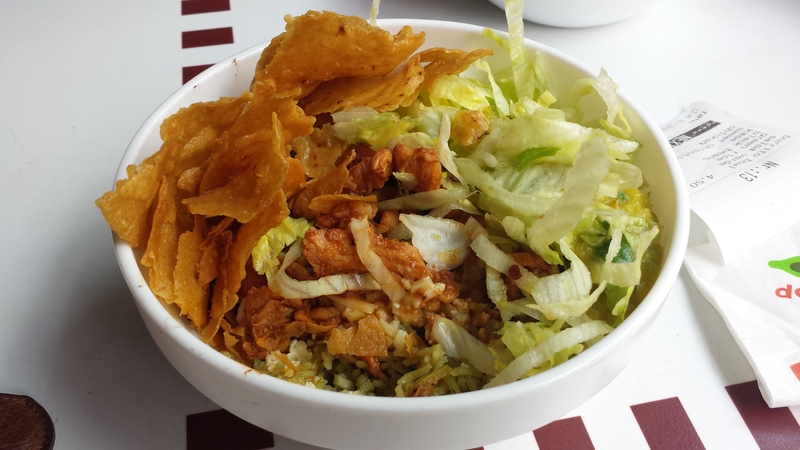 Your food at the paleo cafe looks awesome – I don’t know what I would do if I went to a paleo cafe, I would want everything! I wouldn’t mind going again, especially as I have seen only so little. But it’s not like I am dying to go back asap. And oh my gosh don’t ask me to map you my choosing process. You might miss your flight to Perth! I think you made the most of your work conference. Kind of like me in Vegas, yes?! The curling up for eight hours with a book sounds delightful. I’m hoping to do a lot of that today, after I catch up on your shenanigans of course. Definitely 🙂 I wouldn’t have minded the pool access you had though. Harry Potter is my favorite fictional date. And thanks for catching up! I missed you!